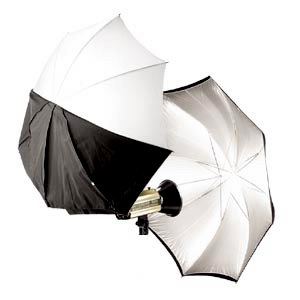 The Photoflex ADH 45″ Silver Adjustable Umbrella. 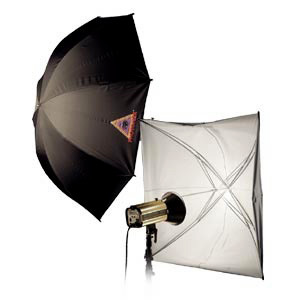 The Photoflex ADH 45″ Silver Adjustable Umbrella is the most versatile, highest quality silver umbrella on the market. Silver interior for maximum light reflection. Four moveable ribs make this umbrella adjustable; alter the shape of the umbrella. Can be used for strobe or hot lights. Also available in 30″ size). Double-lamination greatly limits light leak which will save you up to 50% in power and time in your studio. 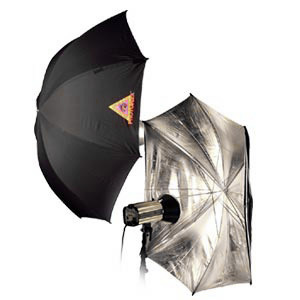 This umbrella can be used with hot lights as well as strobe. Our umbrellas come with their own Carry Bag for easy transport and storage. 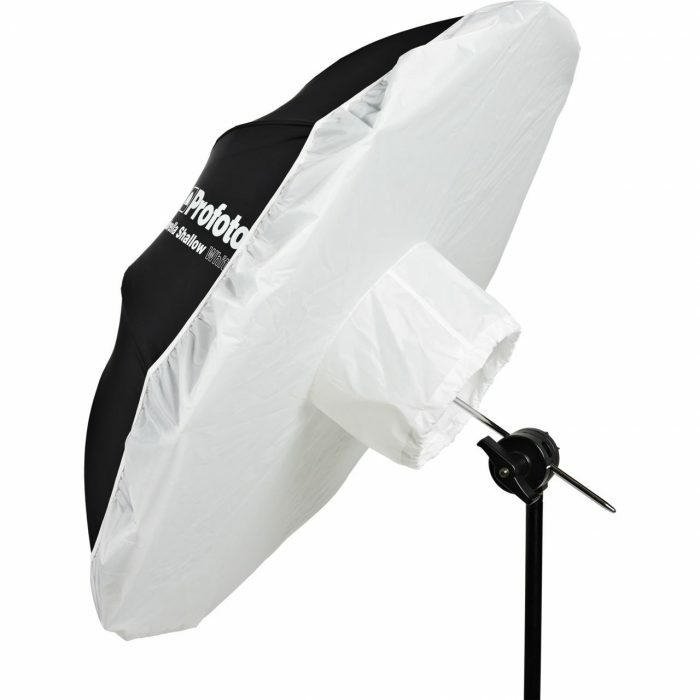 The ADW 30" White Adjustable Umbrella has a black exterior with a white polyurethane-coated interior.